A Clean Sweep? 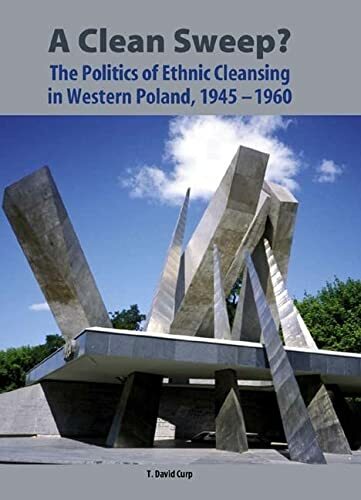 The Politics of Ethnic Cleansing in Western Poland, 1945-1960 examines the long-term impact of ethnic cleansing on postwar Poland, focusing on the western Polish provinces of Poznan and Zielona Góra. Employing archival materials from multiple sources, including newly available Secret Police archives, it demonstrates how ethnic cleansing solidified Communist rule in the short term while reshaping and "nationalizing" that rule. The Poles of Poznan played a crucial role in the postwar national revolution in which Poland was ethnically cleansed by a joint effort of the people and state. A resulting national solidarity provided the Communist-dominated regime with an underlying stability, while it transformed what had been a militantly internationalist Polish Communism. This book addresses the legacy of Polish-German conflict that led to ethnic cleansing in East Central Europe, the ramifications within the context of Polish Stalinism's social and cultural revolutions, and the subsequent anti-national counterrevolutionary effort to break the bonds of national solidarity. Finally, it examines how the Poznan milieu undermined and then reversed Stalinist efforts at socioeconomic and cultural revolution. In the aftermath of the Poznan revolt of June 1956, the regime's leadership re-embraced hyper-nationalist politics and activists, and by 1960 Polish authorities had succeeded in stabilizing their rule at the cost of becoming an increasingly national socialist polity. T. David Curp is Assistant Professor in the Department of History at Ohio University.